Was “Operation Restore Legacy” meant to be a societal inflection point in Zimbabwe? Well, that is for President Mnangagwa to expound on in a national dialogue he recently proposed. But, its clear many citizens had hoped so. When Mthuli Ncube boasts of Zimbabweans having new civic liberties post- Mugabe to Richard Quest at the World Economic Forum, one rationally assumes that some entities in Mnangagwa’s administration are fully cognisant, and even betting on, citizens’ having expectations of significant inflection. Today Zimbabwe is faced with numerous economic reform challenges. These include perceptions of property rights, state welfare expectations, infrastructure deficit, privatising certain state enterprises, monetary exchange rate implications on production costs, and even issues of equity in the government budget. 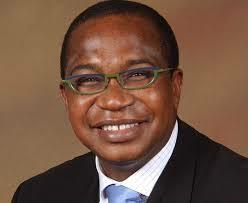 Reading through Germany’s economic agenda then would feel like a proofread of Mthuli Ncube’s TSP today. However, what Germany understood was that without internal coherence between formerly Eastern and Western everyday socioeconomic habits, a reform agenda would merely be theory on paper, even if fellow global powers wished their best for a new Germany. Hardly anybody doubts the theoretical and empirical potential of Ncube’s TSP. Of course, it should logically receive technical approval, even as far and wide as Gerry Rice at the IMF. Fiscal policy agendas though, are ultimately determined and legitimised by socio-economic habits that show readiness to impulsively and sentimentally conform. That is something only Zimbabwean citizens can either give or deny affirmation. The civil unrest that has caused President Mnangagwa to call for a national dialogue clearly shows incongruence between internal socioeconomic habits and Ncube’s TSP. The agenda is struggling due to despondency and sometimes outright resistance from society. This is because President Mnangagwa has tried to transition his administration from that of his predecessor without offering truthful dialogue on whether or not there are clear disparities between the two. Actually, Mnangagwa has exhausted more resources trying to convey sincerity to global audiences than to Zimbabwean citizens themselves. It is defeating then when publications such as Forbes, Economic policy in Zimbabwe is currently guided by the Transitional Stabilisation Programme (TSP). The reform agenda is expected to run from October 2018 to December 2020. The current economic blueprint is guided by a very lucrative theme titled, “Towards a Prosperous & Empowered Upper Middle Income Society by 2030” It has largely been argued that the new reform agenda will face the same fate of its predecessor blueprints such as ZIMASSET. However, the current government’s TSP publicity campaign keeps gaining momentum with each day we are approaching December 2020. Regrettably[PM1] the Transitional Stabilisation Programme (TSP) in my opinion has two key limitations. The original structuring of the reform agenda and the implementation processes of the TSP is plagued with the following concerns; 1 Disproportionate austerity measures The Guardian, Financial Times, and Washington Post have recently turned an onslaught familiarising Mnangagwa’s administration to Mugabe’s. Eventually, President Mnangagwa will have to audibly define himself in distinction to Mugabe. Interestingly, society’s objection to the patronage and rent seeking establishment may not have been as political as it is economical; expressing oneself with a vote is a different proposition to expressing oneself with a dollar, hence voting and socio-economic habits can sometimes vary. Many Zimbabweans voted for Mnangagwa willing to give him a fresh chance, but no so many are socio-economically willing to give him similar providence. Indeed today, Ncube is trying to work out of a deficit that best represents just how deeply depleted a patronage and rent seeking establishment has left the nation’s fiscal resources. Maybe overweighing ballot results, every so often Ncube seems embarrassingly aloof to society’s craving for social justice when it comes to fiscal contribution of taxes. He may be sincere in intent, but would he go with further thirst and willingly pay a painful share for a tab of which he had no sip? Hardly any rationale citizen neither willingly conforms nor legislatively complies with a fiscal regime meant to subsidise a patronage and rent seeking establishment that has robbed the nation, and left many to thirst. This is what Ncube is trying to do, and he is increasingly faced with a despondent and resistant society. The patronage and rent seeking establishment left fiscal resources so deplete that even the once profitable governmental tenders reserved for cronies and insiders offer no intrigue at all. Due to price fluctuations, tenders are rather risky propositions today for winning contractors. It is only three years ago that former Finance Minister Chinamasa labelled the State Procurement Board as the capital city of corruption. A few years after, not a single prosecution has stuck. Finance Minister Ncube is left with the shame of giving false impressions of fighting corruption on global TV platforms, yet at home no battle lines have ever been drawn. Many of the accused and ones with proximity to Mugabe’s crony establishment are very much active in Mnangagwa’s own administration. It is interesting that Mnangagwa has put himself out there to engage in a national dialogue. The more his administration has expanded its communication structure, the more deflated societal confidence has become and civil unrest spreads. State communication often pulsates deceitful, condescending, and self-righteous rhetoric; ironically all deplorable mainstays that so effectively further entrenched Mugabe’s patronage and rent-seeking establishment. Indeed continued banter may not bode well for socio-economic harmony and get citizens in tune with his administration’s intended reforms.